How can I add content over all the slides from the homepage? We all know that sliders are very popular and people just can’t get enough of them. No wonder that Mies comes with a bunch of flexibility concerning the sliders. Starting from here, I will show you how to easily get a slider, what kind of sliders are available, and which are the possibilities you can take advantage by using our theme. By Category — allows you to select a portfolio category and that will be displayed on your homepage. Selected — gives you the possibility to pick specific projects to be revealed on the Homepage slider. On each page or project, you can have a slider too. 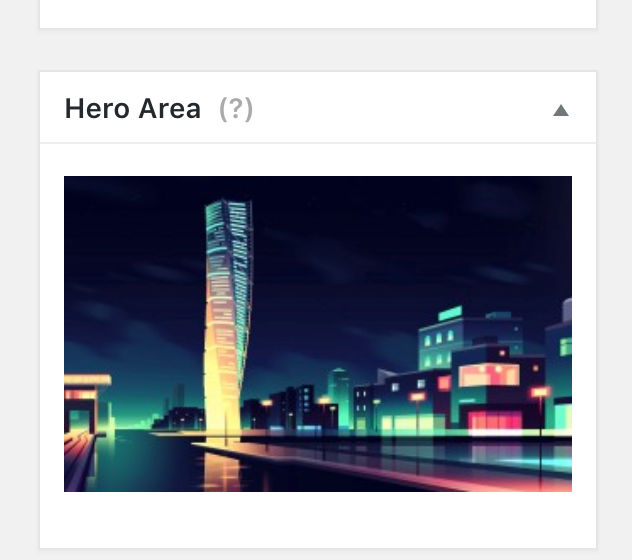 If you choose multiple images to be shown in Hero Area it will be transformed into a slider. (see print screen). Once you do that, some new Slideshow Options will be available, like Image Image Scaling, Enabling/Disabling Slider Autoplay, and Choosing the delay between slides. Check out an example from our demo site here. Please note that the Hero Area content is unique for each page section, so if you’re using multiple images to create a slider, the content will be only available for the first slide. but the content will be displayed only over the first slide.